Vasilios, thequinntessential and Terminus like this. Nice sand beaches, warm water and good restaurants/bars. Go to Crete! 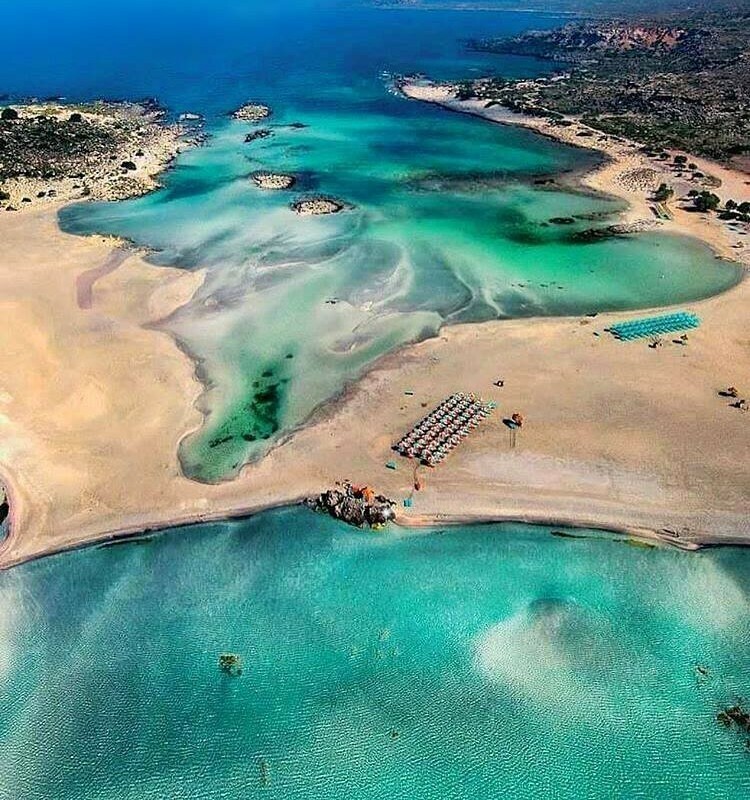 A lot of beautiful beaches not too far from Chania, just get a rental car. 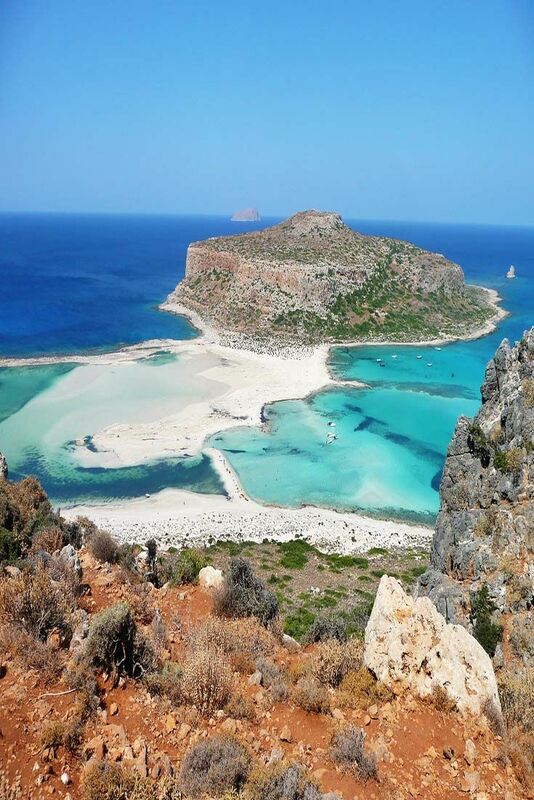 Balos is pretty nice and Elafonisi is simply breathtaking. Mykonos is great too, and they know how you throw a party, but is way more expensive than Crete. The beaches in Santorini are mostly volcanic sand and pebbles, and are not really that comfortable. Have fun! You'll have to report back after. I'm going to Greece solo travelling beginning of September. Going to Mykonos (for obvious reasons) and Athens for 1 week! I’m in the UK, currently in Southampton. Checking out grindr to see if there are any popjustice hunties close by. I'm going to Santorini in July for a week as my cousin is getting married there. Apart from the amazing scenery is there much else to do ? I like holidays to be about 50/50 relaxing by the pool/exploring. I'm spending two weeks in Japan later this year, splitting the time between Tokyo and Kyoto with lots of day trips. What are the essentials I need to include in my itenary? If you can spare a couple of days I would really recommend heading a bit north of Kyoto to Takayama. Really lovely little town, lots of old houses that are all basically cultural artefacts. There's a really good food there to be had and it's famous for Kobe beef. A very famous lil bar there too run by a lovely lady for I think maybe 20-30 years called Red Hill Pub it's basically in her living room. Fantastic atmosphere. Nearby you can visit Shirakawa-Go which is a world heritage site, lovely quaint village. Also, Kamikochi (basically a highland valley) isn't too far either from there which is just stunning beyond words! I crammed a lot in in 2.5 weeks so when you decide where you're going and if you need recommendations for food, sights etc just give me a shout. bakerboy92 and Mikl C like this. Was thinking of going to Banff National Park in August this year. Any advice on what else to see while we’re there, where to stay, etc. from any Canadian hunties here? @strangekin @ohnostalgia @R92, have y’all been? I haven’t been to Banff in ages, so I can’t give recommendations on where to stay, etc. If you’re trying to get accommodations near the park I would start looking as soon as you decide. It is Canada’s most popular national park and gets crowded. Banff is very close to Calgary and Lake Louise. It’s also really not that far from Edmonton (at least in Canadian driving terms), which has the West Edmonton Mall. Other places you could go are Jasper National Park, Waterton National Park (connects to Glacier National Park in Montana), Drumheller (in the Alberta badlands, known for dinosaurs). You could even head into British Columbia if you wanted. I guess it depends on how far you’re willing to drive. Here’s an insta for Travel Alberta. strangekin and Subwaykid like this. This is great, thank you so much! I’m going to bookmark all those places and discuss. Hoping to get it all planned within the next month or so. Sorry I couldnt get more specific with Banff. Generally, I recommend spending most of your time on outdoor activities in Alberta. Fingers crossed we’re not dying in firefire smoke this summer! I’m sure @strangekin can give you way more details on Calgary if you’re gonna spend time there. No it was great info don’t worry. I’m sure there’s things we’ll want to do behind the park so I’ll check that list out. Thank you! Calgary is probably the airport we’re going to use so I’d imagine we’d either stay around there or Banff. I've been living in Banff permanently since October - but moving back to London in March, so unfortunately won't be around in August to say hello. Banff is a really special place, but echo what @ohnostalgia says about crowding (even walking down the streets at the weekend in winter is pretty infuriating) and - bearing in mind I'm a Londoner - even I found the amount of people here in August claustrophobic. But with that out of the way, it's one of the most beautiful places in the world, with some amazing hiking trails that you can walk to from the town centre (Tunnel Mountain is the most popular and an easy walk, Sulphur Mountain has the best views but my favourite by far is the Hoodoos Trail that starts from Surprise Corner and heads down around Tunnel). You can also bus up to Sunshine for more hiking trails. There are places that are drive-able like Two Jacks as well that you have to see - but again, tourists. If you don't want to stay / can't afford the prices, another option is Canmore just down the road (its about a fifteen minute drive or a thirty minute bus). I'd avoid Lake Louise like the plague, but thats a personal choice, and has nothing to do with the natural beauty of the area and everything to do with the obnoxious tourists. One thing I would definitely recommend - if you have the time - is the drive between Banff and Jasper. It's really worth doing. Jasper gets far less people visiting than its neighbour, but is no less stunning and the hikes are far less intrusive. There's also National Parks like Yoho and Wells Gray which are worth a visit, but depends on where you are driving! @Subwaykid Hm, I'm not sure I could give you super insightful info about Banff. It's really great, but I went so many times when I was young that I haven't properly been in like 7 or 8 years so I don't really have a clue what the good spots are for bars and restaurants, and all the touristy must-sees you probably already have planned out. I actually really like Lake Louise, but I'd almost recommend it more in the winter. Despite the toursit-y element @SushiJoe mentioned, I stan skating on the lake up there. It's really beautiful. If you do end up coming into Calgary I could give you some better recommendations! You know where to reach me. Ooh, this is fantastic info, thank you so much! Thank you! We’ll most likely be spending most of our time in Banff or Calgary, since that’s where the airport is, so I will definitely be reaching out at some point since I know very little about either place, ha. phoenix123, Lucy Honeychurch, Macanudo and 2 others like this.